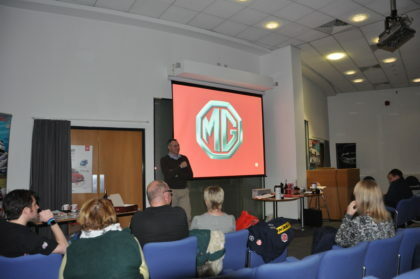 The register had its AGM on Saturday 3rd December at MG Motor’s Sales Centre, Longbridge. There was a great turn out of MGCC members and guests including some new MG GS owners too. The 2016 Charity – Croghns and Colitis UK has been well supported. £220 plus and additional £130 raised on the day from the raffle. Barry Faiers gave the Treasurer’s report showing increased turn over and funds and assets. 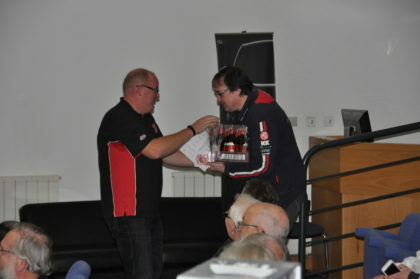 The Register thanked Mark for his hard work over the last few years. Sean Round went through some provisional dates for 2017 events, which will be published in the New Year. 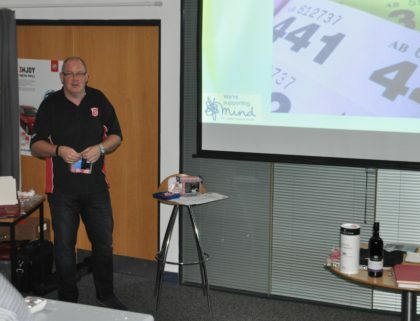 The 2017 Chairman’s Charity will be Mind UK. a target will be to raise £635. 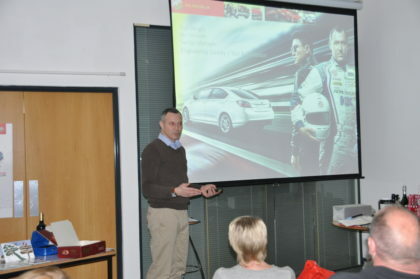 Tim Wright form SMTC Test and validation gave a very interesting talk on where SAIC Motor are in Product development. The future look extremely bright for MG models and the Design Centre at Longbridge. Some very high quality raffle prizes were donated by MG Motor and the Sales Centre, SMTC, John Woods Motorcare, Roger Briscoe. 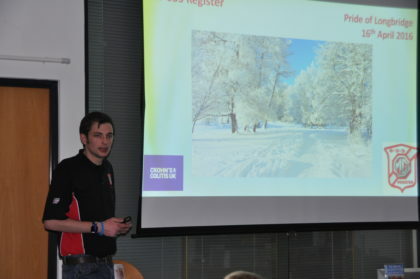 As mentioned, £135 was raised for Crohns and Colitis UK. Huge thanks to the MG Sales Centre for supporting the Register and allowing the use of their facilities.